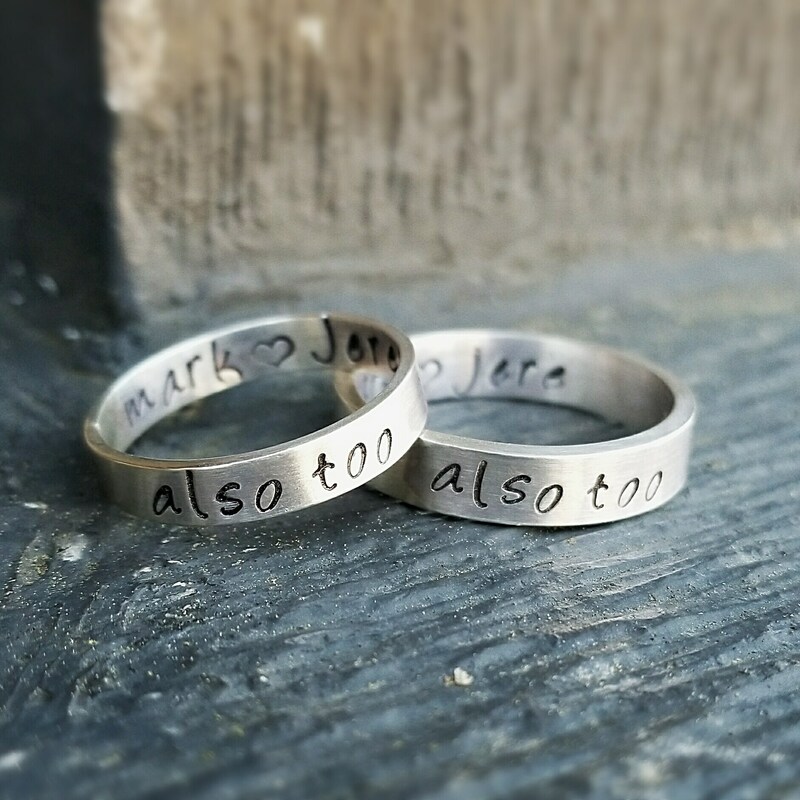 Say it on your rings - forever! 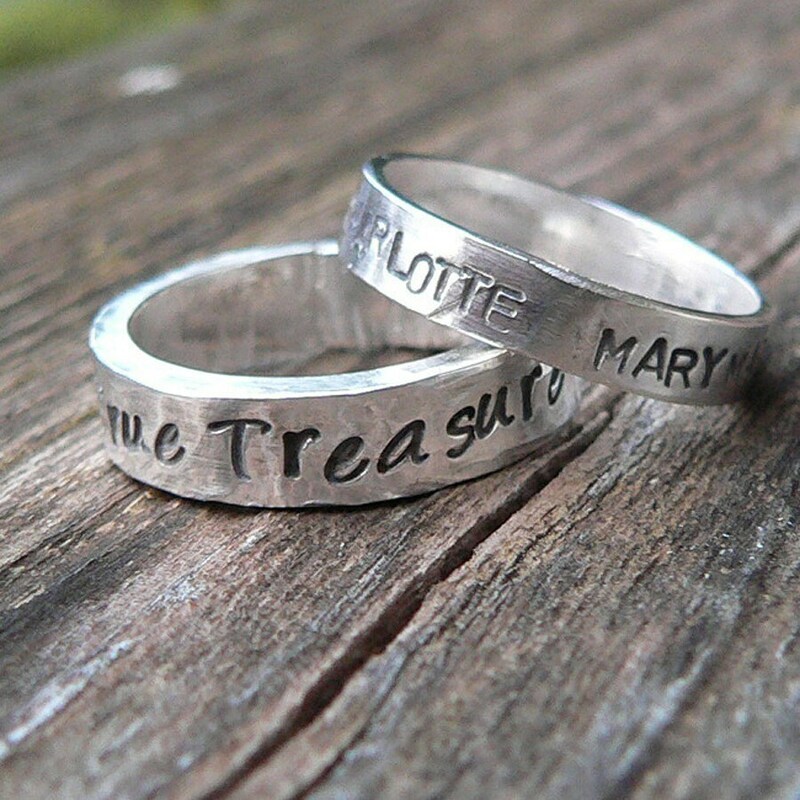 These custom made-to-order sterling ring/bands is are great gifts - for yourself or someone else. 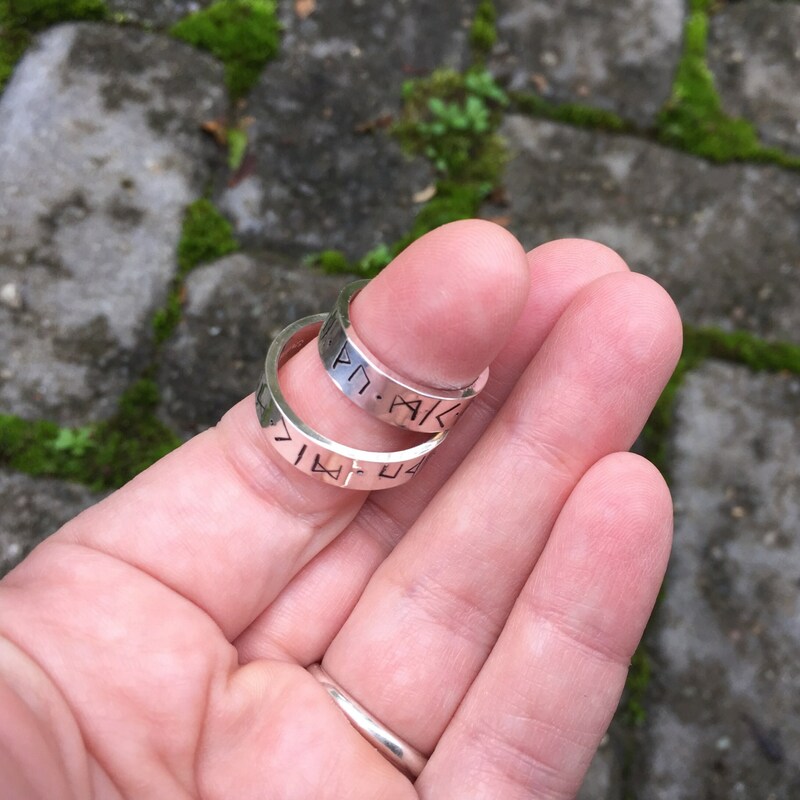 Makes a great Mother's ring, or just for fun. I personally use one as my wedding band! 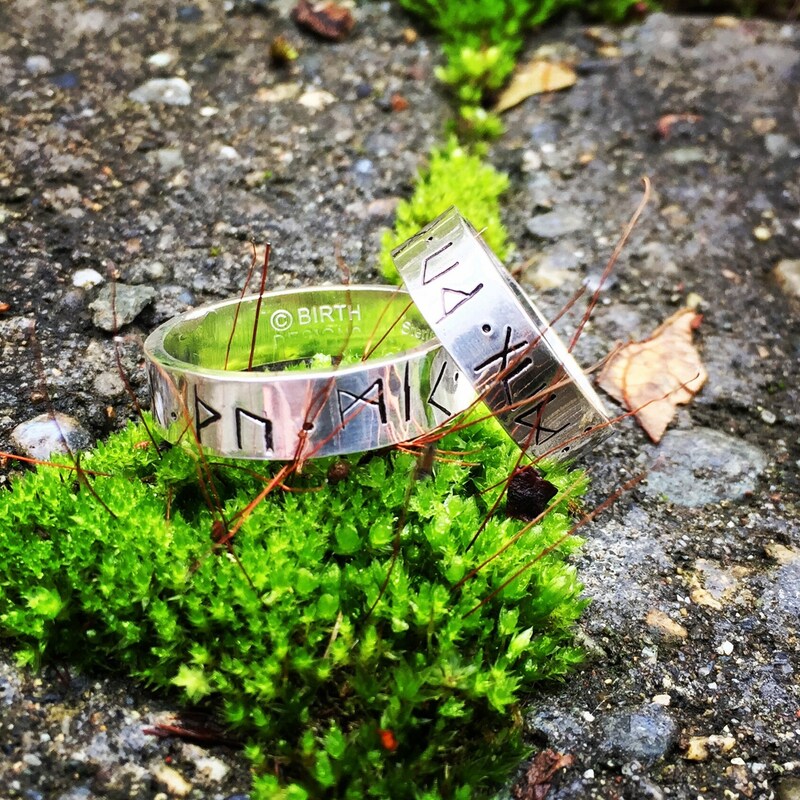 Thinner ring is available in sizes 4-10. It is approximately 4mm wide by 1.5mm thick. 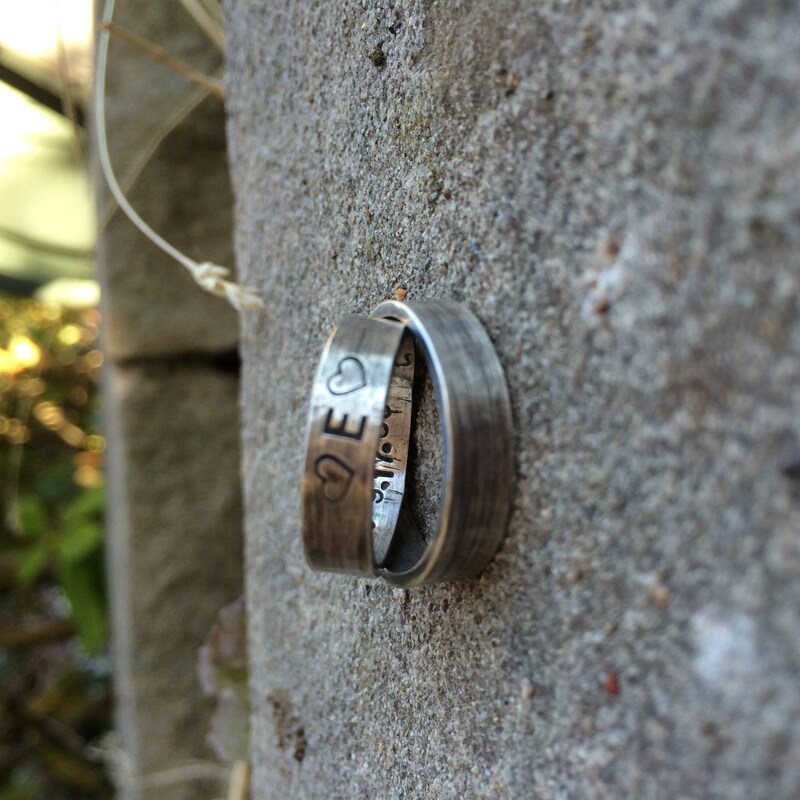 Thicker rings is available in sizes 7-16. It is approximately 5mm wide by 2mm thick. Absolutely beautiful rings!! USPS dropped the ball, Bonnie did everything she could and resolved the issue in record time. A pleasure to deal with and a fantastic product. 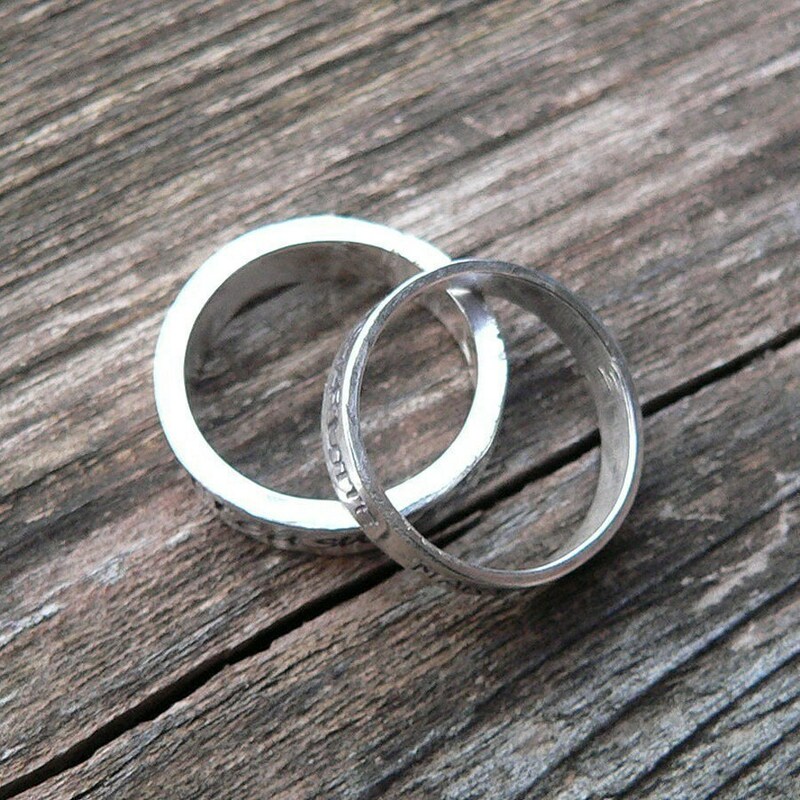 We are really pleased with our rings! Exactly what we asked for and fit perfectly. Delivery was tracked so could see where they were. An absolute bargain, and will be shopping here again. Thanks Bonnie, the rings are awesome!